Karen Wunderlin combines her experience as an operating executive with her knowledge of group processes to help clients identify necessary changes and then implement them – on a personal, team, or organizational level. For more than 22 years, Karen and her team have worked with organizations to facilitate change, growth and cultural development. From Fortune 500 companies to small nonprofits, she has worked with organizations of all sizes and scopes. This diverse experience has given Karen unparalleled insight and tools for working with organizations like yours. Executive coaching – Karen helps leaders identify specific areas that need improvement and gives leaders tools to improve in measurable ways. Facilitation – A facilitator sets the tone for a meeting and redirects when things go awry. 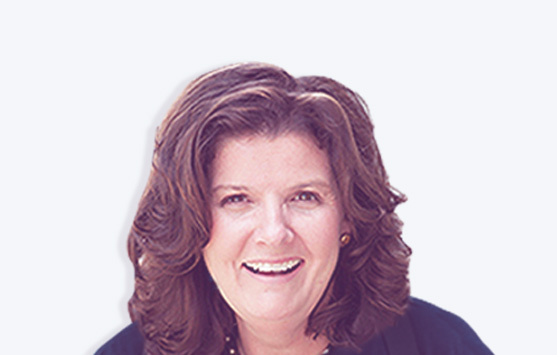 Karen works closely with leadership to design meetings for maximum effectiveness – establishing ground rules, determining participants, defining goals and objectives, and creating actions to measure success. GE-style “WorkOut” – The WorkOut method places the work to be done or the problem to be solved in the middle of an organization. Karen invites the people who know that problem best to use the WorkOut process to develop and implement a workable and measurable solution. Strategic Planning forges a rigor and rhythm to setting and achieving goals.This process actively involves leaders in defining and agreeing to a vision; and committing resources toward it for a compelling future. GE Change Acceleration Process uses four steps to help organizations increase success and accelerate change implementation. Karen works with leaders to initiate change, mobilize commitment, transition from vision to reality, and make change last. Assessments are incredibly useful for leadership and team development. Assessment tools can help guide leaders and peers to build strong teams by working together to understand where you are, and where you want to go. Targeted Workshop Design and facilitation – Host a workshop designed specifically to address your business needs. These workshops can be held at your business or off-site. Action learning – Action learning is not the often parodied “games” and “trust exercises” you may be thinking of. Action learning transfers skills to clients with a system of experiential learning, reflection, and facilitated application to real work scenarios. Karen received her Bachelor’s degree and MBA from the University of North Carolina at Chapel Hill. She has completed her Georgetown University Leadership Coaching Certificate and her International Coach Federation (IFC) Professional Certified Coach credentials. She is certified in Meyers-Briggs Type Indicator (MBTI), Birkman, and Hogan leadership assessments; and the Korn-Ferry Profilor 360-Degree Feedback tool. In short, Karen has the knowledge and experience to find and apply tools that will work best for you and your team. Leading implementation of GE WorkOut at a global agricultural products manufacturer. Coaching CEOs and other high-level leaders. Facilitating strategic planning processes for an advanced steel manufacturer, regional financial services organization, and several liberal arts colleges and museums. Working with a newly formed team to clarify roles, develop new work processes, and define communication strategies for the larger organization. Designing multi-day leadership development workshops for a food manufacturer, an energy monitoring company, and a retail credit card business. Conducting WorkOut facilitator training and leading initial WorkOut meetings from design to implementation for an oil company, an energy products business, and a leading credit agency. Contact Karen to implement positive change for you and your organization.